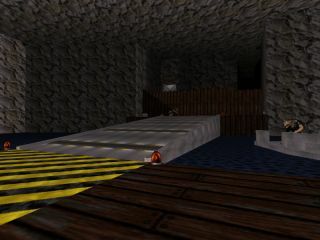 A very small dukematch arena set in a aquatic facility, hence the name of the map. 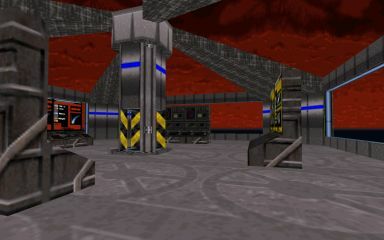 Pretty basic gameplay with all weapons ammo stock, two different rooms interconnected by teletransportation and the nice (although very simple layout) are enough excuses to load up this baby and shred your enemies to pieces. Grab it now! Misc. Author Info     : 13 year old, loves making levels for any game. a submerged section and an above water section. Dukematch only. 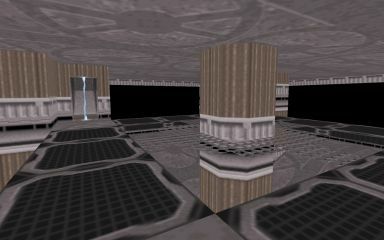 (Duke Nukem 3d Repository) for their great maps. aarena.map at the command prompt. Please. EMail me to tell me how the map is, I thrive on comments!